Here's a fun and inexpensive idea for your garden! A rock formation. My sister in law, Kris. 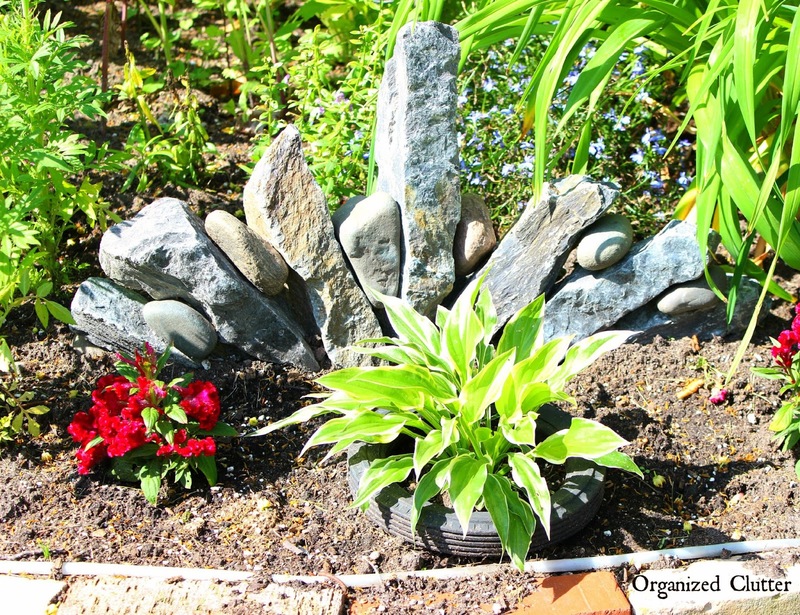 arranged this rock grouping to frame a petite hosta in her garden. It's like a miniature Stonehenge! The garden tour at my home and my sister in law's house are coming soon! Really love that idea! Now I'll be on the lookout for cool rocks! I can't wait for the garden tours! Everything is so pretty and creative. Love this one! Looking forward to the garden tours and wishing I had more time and energy to do my own gardening. This is such a clever idea. Rocks rock! !